Original tight, precise and powerful R&B. The Sonny Hess Band is holdin' All Aces and a sure winner! With influences fron Cold Blood and Melissa Etheridge this band is imminently danceable and puts on energetic show! 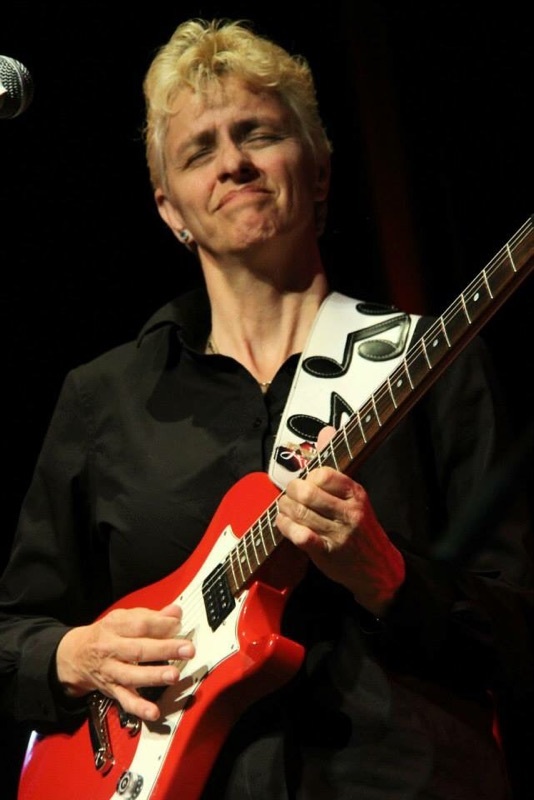 Veteran guitarist vocalist, Sonny Hess first picked up a guitar as a kid age 8, by the time she was a teenager she was picking up gigs all over and played in Portland’s top bands at the time, The Koffee Band and Margo Tufo’s Blues Sisters. From there she met the show stopping, late great, Paulette Davis. This band won Portland’s music association Crystal award for outstanding R&B act of the year. Paulette Davis gave Sonny the nickname ‘Sonny Smokin’ Hess’, they played together for four years and out of that came the CD “It’s About Damn Time”. After Paulette passed, Sonny continued their legacy as the Power Band always known for upbeat danceable R&B, a real energetic show. Sonny went on to be the first woman nominated in a male dominated field for Best Lead Guitar by the Cascade Blues Assoc, also holds a nomination for "Lifetime Achievement Award". 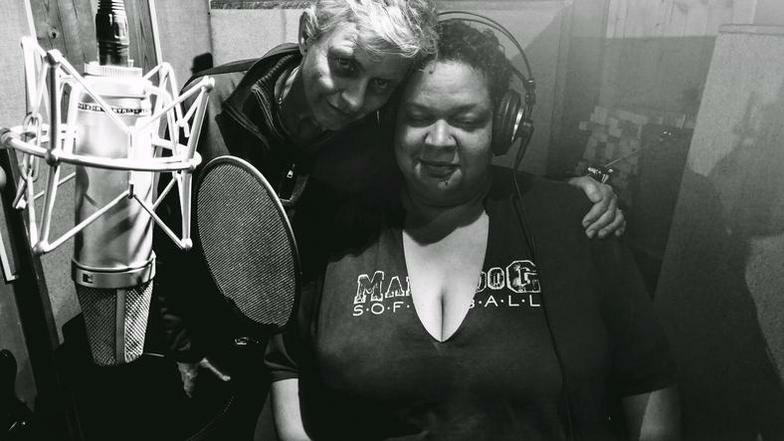 She has played with, sung with and composed with many of the regions top artists, as well as opening for Etta James, Jr Walker and the All Stars, Average White Band and Bobby Womack. Sonny Hess is also widely known for her productions of the NW Women R&B Show, a specialty show she takes pride in producing. Her show has been seen by 100’s of 1,000’s over the past 15 years at the Safeway Waterfront Blues Festival. 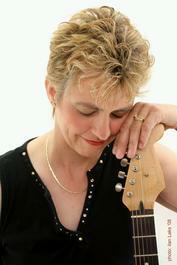 eteran guitarist vocalist, Sonny Hess first picked up a guitar as a kid age 8, by the time she was a teenager she was picking up gigs all over and played in Portland’s top bands at the time, The Koffee Band and Margo Tufo’s Blues Sisters. From there she met the show stopping, late great, Paulette Davis. This band won Portland’s music association Crystal award for outstanding R&B act of the year. Paulette Davis gave Sonny the nickname ‘Sonny Smokin’ Hess’, they played together for four years and out of that came the CD “It’s About Damn Time”. After Paulette passed, Sonny continued their legacy as the Power Band always known for upbeat danceable R&B, a real energetic show. Sonny went on to be the first woman nominated in a male dominated field for Best Lead Guitar by the Cascade Blues Assoc, also holds a nomination for "Lifetime Achievement Award". 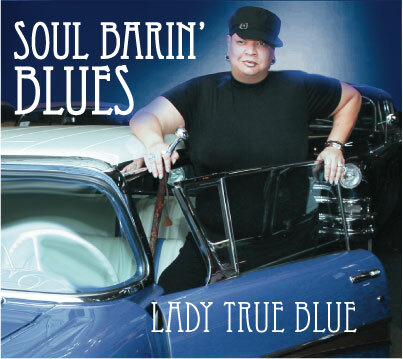 She has played with, sung with and composed with many of the regions top artists, as well as opening for Etta James, Jr Walker and the All Stars, Average White Band and Bobby Womack. Sonny Hess is also widely known for her productions of the NW Women R&B Show, a specialty show she takes pride in producing. 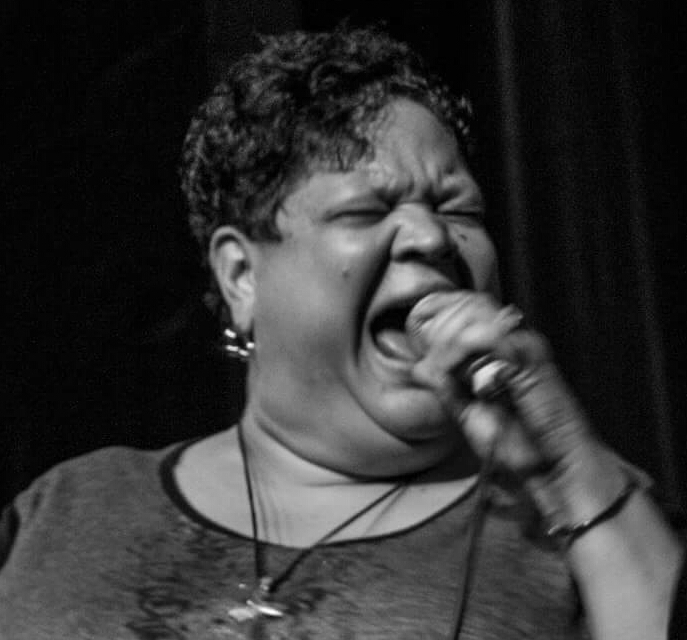 Her show has been seen by 100’s of 1,000’s over the past 25 years at the Safeway Waterfront Blues Festival. 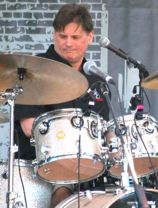 Mr. Kelly Pierce, our drum/percussion man, is like a brother to Sonny as they have played together for over 15 years. He is in sync with her groove and knows how to anticipate her next move. Kelly is an emotional player with dynamics that make him an Ace up our sleeve. 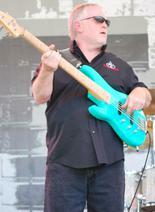 Bass man, veteran player, Jim Hively. It has been said that Jim has the best bass tone in the region, ask him, he’d say ‘aw, just the way I play, my attack.’ Jim’s tone sends audiences running towards the dance floor and other bass players trying to emulate. 2013 Winner of The Best New Act by the Cascade Blues Association!!! Produces and performs many different combinations with Portlands finest musicians. Trio's, 4pc to 10 pc bands, including her special NW Women R&B shows. Tailored to suit your particular event.